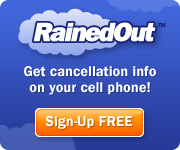 The Sprints on Dirt event for Saturday June 28th at Merritt Speedway has been rained out. The race has been re-scheduled for August 2nd. Quincy,Mi. (June 14th, 2014)- Randy Hannagan dominated the Engine Pro Sprints on Dirt presented by ARP co sanctioned with the National Racing Alliance, 25 lap feature at Butler Motor Speedway Saturday night after starting on the pole. Chase Ridenour started along side Hannagan and this duo quickly left the pack behind, however four laps in Troy Chehowski brought out the first caution. As the green waved again, Hannagan rocketed out to the lead with Ridenour, Max Stambaugh, J.R. Stewart, Doug Zimmerman and Brett Mann falling in line. The order remained the same when lap 11 saw Chehowski bring out another yellow, ending his night. Jared Horstman who started 10th now had tagged the pack and by the 15th circuit he was in 5th. The red appeared on lap 16 after Mark Aldrich pulled to the infield with flames in the rear end of his car. The fire crew quickly extinguished the fire without injury. Once more Hannagan jumped out to a comfortable lead as the green came out. Behind the leader, Ridenour was continuing a very strong run with Stambaugh making several attempts to make a pass for 2nd but Ridenour would have none of it. J.R. Stewart was right on his team mate (Stambaugh) during all the action waiting for any opening and now Horstman was lurking and waiting for an opportunity. As the laps were winding down, Hannagan had stretched his lead with three cars still battling for position and on the final lap, Stambaugh was able to slide under Ridenour in turn four taking 2nd with Stewart, Horstman and Trey Smith rounding out the top five. Heat races for the 34 cars on hand were won by J.R. Stewart, Doug Zimmerman, Gregg Dalman and Chase Ridenour. B mains went to Ryan Ruhl and Shawn Dancer. The Dash win was picked up by Hud Horton. Tonight’s full moon reared it’s ugly head on an otherwise beautiful evening as heat two found Dustin Stroup tangling with Gavin Hunyady with Hunyady going for a tumble and Stroup ending on his side. Neither driver was hurt. Heat three got off to a scary start as several cars got together at the start with Butch Schroeder going over a wheel and nearly going over after getting some serious airtime. At the same time Mike Burns flipped in turn two. Once again all drivers were okay. The next Engine Pro Sprints on Dirt presented by ARP event will be June 28th at Merritt Speedway. Hartford,Mi. 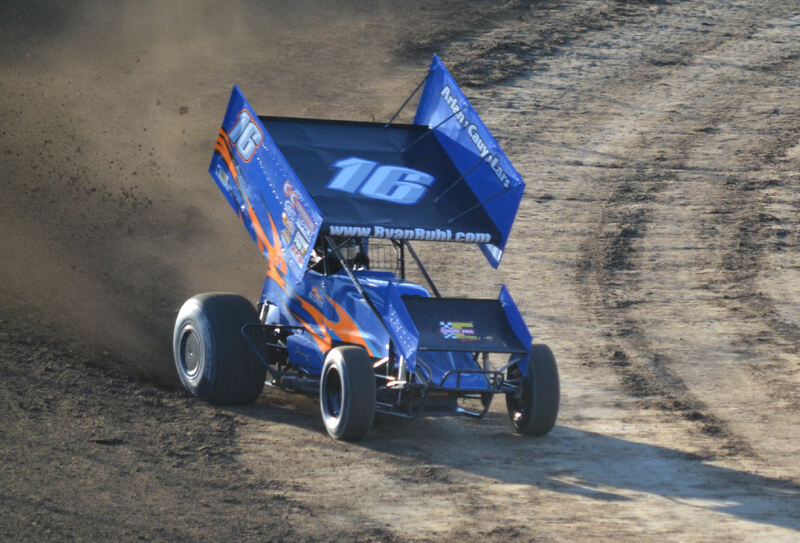 (June 6th, 2014)- Ryan Ruhl dazzled a big crowd Friday night at Hartford Motor Speedway by running away with the 25 lap Engine Pro Sprints on Dirt presented by ARP feature. Jason Blonde started from the pole and blasted out to lead the initial three circuits but lap four saw Ruhl make the pass for the lead and set sail for parts unknown as he was on a mission tonight. Blonde, Trey Smith, Brad Lamberson, Dustin Daggett and Brett Mann were all caught up in battles of their own when on lap 7, Blonde had engine trouble and was finished for the night. Lap 12 found Ruhl leading Trey Smith by half a track and meanwhile, as Daggett and Brett Mann were racing for 4th, Brad Lamberson got over the cushion, and hard into the wall and upside down on lap 16. Lamberson was not injured. Following the red flag, Ruhl wasted no time stretching his lead yet again with Trey Smith in 2nd, still holding off Daggett in a fine run of his own. At the 20 lap mark Ruhl looked untouchable as Brett Mann and Gregg Dalman had moved in behind Daggett. However Mann’s run came to an end on lap 22 as rear end problems saw flames under the car. Mann safely exited the car after the caution appeared with three to go. As the green flew for the final time, Ruhl was not to be denied as he yet again opened a sizable lead. Cruising to the checkers behind Ruhl was Trey Smith, Dustin Daggett, Gregg Dalman and Chase Ridenour. Heats were won by Brad Lamberson, Gregg Dalman and Jason Blonde. The dash went to Brett Mann. The next Engine Pro Sprints on Dirt presented by ARP race will be the co sanctioned NRA event at Butler Speedway next Saturday June 14th. Hartford Motor Speedway –Hartford, Mi. Competition Notes: Both SOD and NRA legal tires will be available at the SOD event next Saturday at Butler Motor Speedway.